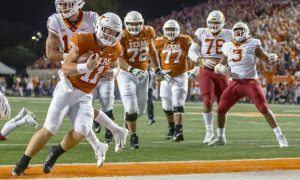 On a day where many other schools across the state of Texas cancelled or changed the date of their spring game, Texas was still able to have theirs under the lights on a Saturday night in Austin. It was a solid turnout even though the wind was crazy with gusts up to 30 mph. Fans, recruits, alums and even the Minister of Culture himself, Matthew McConaughey, was there for whatever the heck he does there. As the lower bowl filled up, the overall turnout seemed great and the LHN broadcast was full of defense and Ludacris talk (he is an actor/rapper, for those who don’t know). The game itself was between the Orange Team (the starting offense) taking on the White Team (the starting defense). 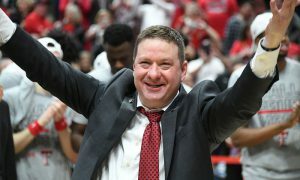 There were two 12-minute quarters in the first half and two 10-minute quarters with a running clock for the second half. Believe it or not, the game ended in typical SEC shootout fashion with the White team beating the Orange team 12-6. Instead of a traditional recap, I thought it would be more fun to share my takeaways with you. Here is where I would share some corny Ludacris quote but unfortunately, I have nothing for you. Let’s get started. I know the wind helped the defenses in this game, but give credit to both the orange and white team for a solid game all around. 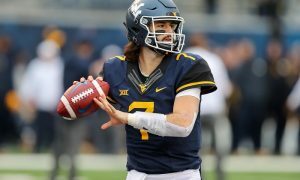 I am not going to label the game as, “the offense was hot garbage” because the defense really shined on Saturday night. Focusing on the white team (the starting defense), they were outstanding. Even though they are losing a ton of key pieces from last season, the potential to be really good is there. Texas has the talent and with defensive coordinator Todd Orlando calling the shots, there is plenty of upside on the defensive side of the ball. Some guys that really impressed me in the spring game were LB Jeffrey McCulloch, Safety B.J. Foster and CB Jalen Green. McCulloch had a pick and a pass breakup while Foster and Green provided outstanding effort along with bringing a physical presence. I truly believe that B.J. Foster will take a HUGE step forward this upcoming season. 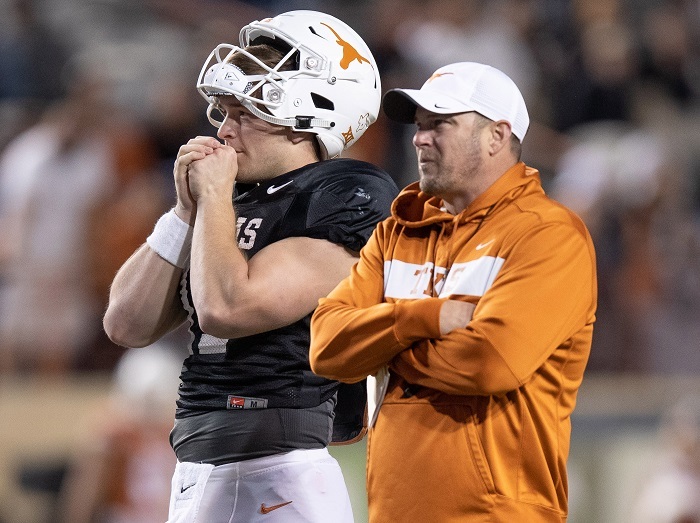 I never want to be the guy who takes too much away from a spring game, but that was some sloppy offense in Austin on Saturday night. I know the wind gusts were bad and after the game Tom Herman said it was “nearly impossible” to throw the football, but there were other things that bothered me. For starters, there were way too many dropped passes by Texas wide receivers. 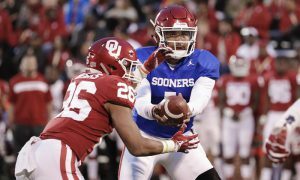 Whether it was the receivers, tight ends or running backs, there were too many passes that hit hands and then landed on the ground. Both quarterbacks, Sam Ehlinger and Casey Thompson, didn’t get much help from their pass catchers. 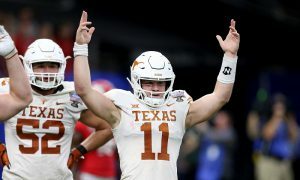 Ehlinger made some mistakes that he wouldn’t normally make during a game, but I will say that he and backup quarterback Casey Thompson made some nice plays with their legs. 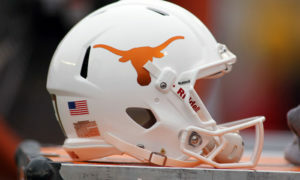 Without a doubt, there are still are some things that Texas needs to clean up on offense before the season starts. Coming out of high school, Jordan Whittington was ranked as a top five athlete on almost every recruiting service in the country. This guy looks like a grown man on the field and let’s not forget he should still be in high school right now. Although he played mostly receiver at Cuero HS, Texas needed a reliable backup running back to Keaontay Ingram and the staff chose Whittington to fill that spot. Although he dropped a touchdown catch, I thought he looked pretty sharp. 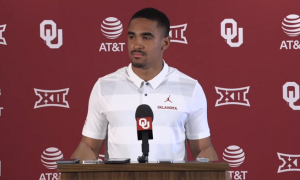 Whittington is still learning the position and I would expect him to get more comfortable as time goes on. I feel like Texas has found its answer at backup running back in Jordan Whittington.